clutch requires 6 red springs @ $7.25 each for rebuild. these are for engines that reach peak torque at 3000 RPM. If you are running Hole in One Motor Sports Pure Power Racing oil, you will need these springs. You will need to order 4 discs for a complete clutch rebuild. Call or stop by the largest mini cup showroom in the Country. Drop us a note if you're looking for the custom made 12T gear. try switching your clutch gear for an added advantage on your super minicup race car. we also stock a wide range of axle gears for your mini cup race car. If you don't see the gear here, just make a note, and we will make sure you get what you're looking for. Horstman Clutch housing does not come with driver gear. Stock up now, for easy gear changes. The Horstman Redhawk clutch does not come with a clutch driver, as shown in the picture. Drivers must be purchased seperately. Don't forget our 2nd to none WB-1 Clutch spray and True synthetic Racing oil. 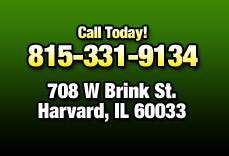 We are an authorized NC Chassis & Horstman Clutch dealer and can supply you with any driver or minicup parts you need. Call or set up an appointment to visit our 3000 sq. ft. minicup show room.